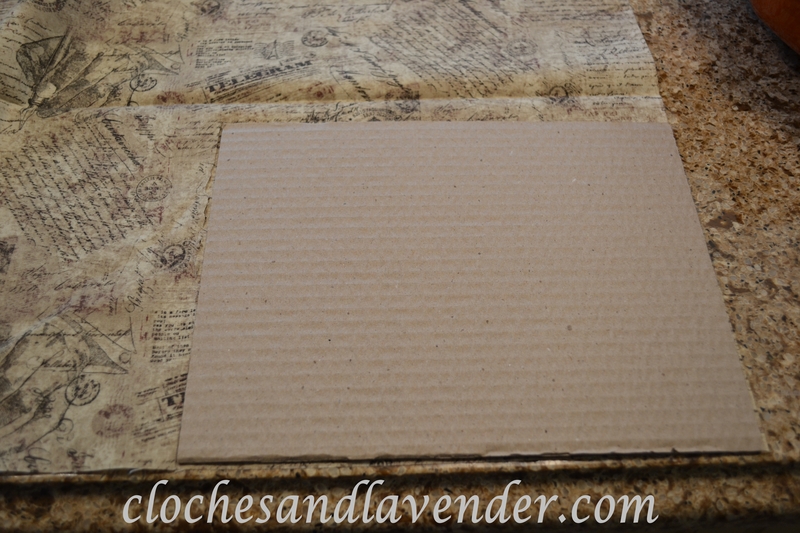 As I have mentioned, we have been in the process of making some changes to John’s office and one of the things I thought about doing was framing a piece of fabric for his bookshelf. 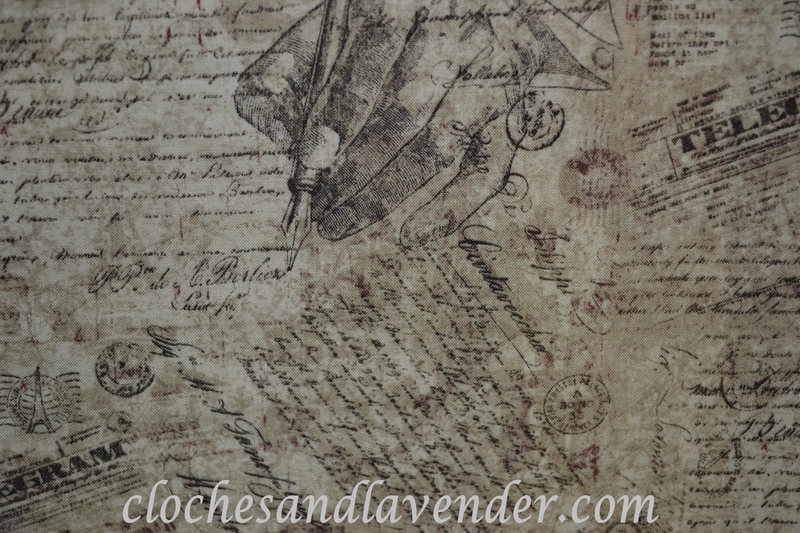 John writes with fountain pens so I wanted to find a fabric that was relevent to that and of course I went to Etsy! 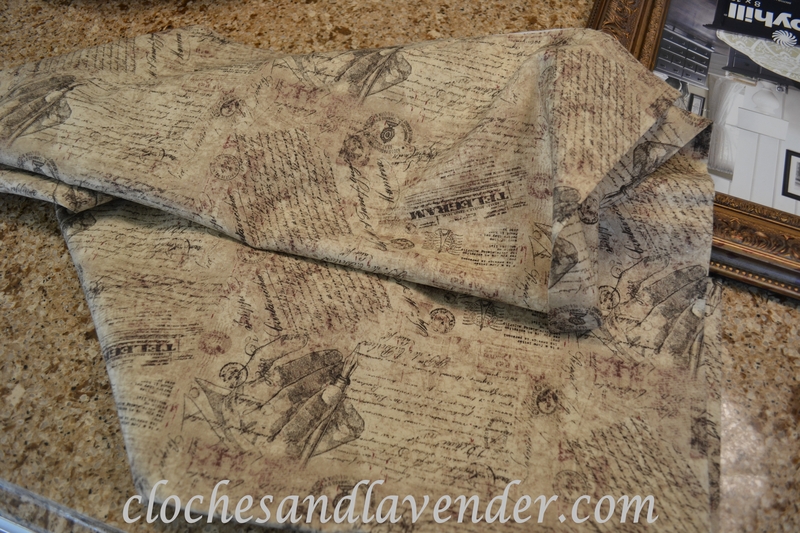 I found this fabric on there, which has a hand writing in French with a fountain pen, thinking this would be perfect. I ordered the fabric and the colors turned out to be perfect for his office. The next step was getting a frame. I went to Michael’s and found one that I thought was great. We now have a framed piece of art for his bookshelf. What a great idea. He must love it. Cynthia, what a lovely fabric! It’s perfect for an office! I wouldn’t have thought about Etsy! Great idea! Thanks for sharing this! It turned out great! Thank you for your kind words. He really likes the piece. I have found small pieces of fabric on there and even Amazon for a great price. This is a great idea! and that fabric works so well for an office setting! It really orks well. Thanks for stopping by. What a great idea! That’s a wonderful fabric. Love script! Me too, I just love script fabric. Thank you. Great idea, and you found the perfect fabric. That’s a great fabric, Cynthia! It works so great for your husband’s office. Thank you so much, he loves it. Wow! How thoughtful and pretty. I love the tradition of writing with a fountain pen! There was a new “fountain pen” on the market that I tried recently with poor results, so I’ll stick with my simple versions. I’ll bet John’s office will be wonderful! He loves it and it works great in there. We will have pictures soon. Thank you for your kind words and for stopping by. 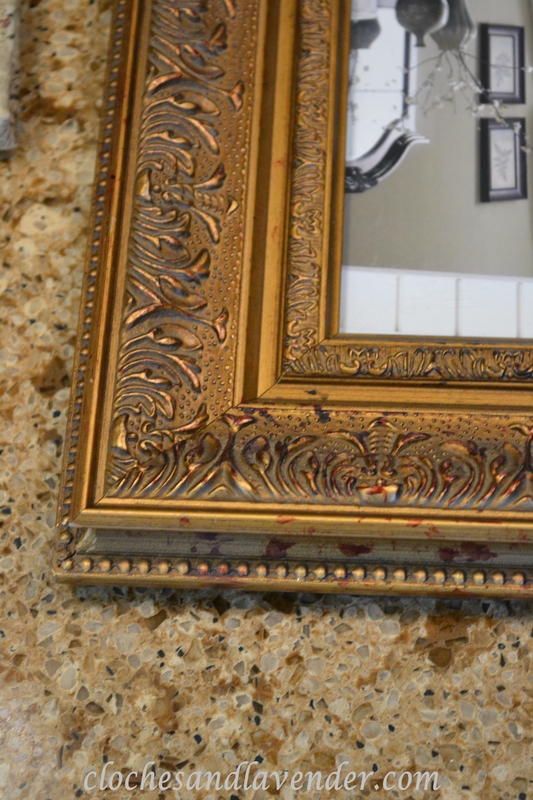 Gorgeous frame and that fabric is divine! Love the combo – great idea!!! Thank you for stopping by! Thank you for your kind comment. That looks so good! 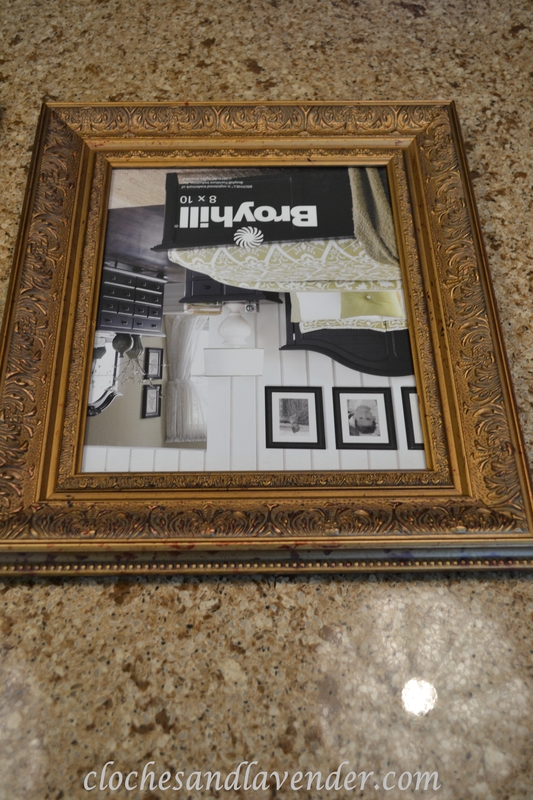 I love that fabric combined with that beautiful frame. Thank you and thank you for taking the time to stop by. 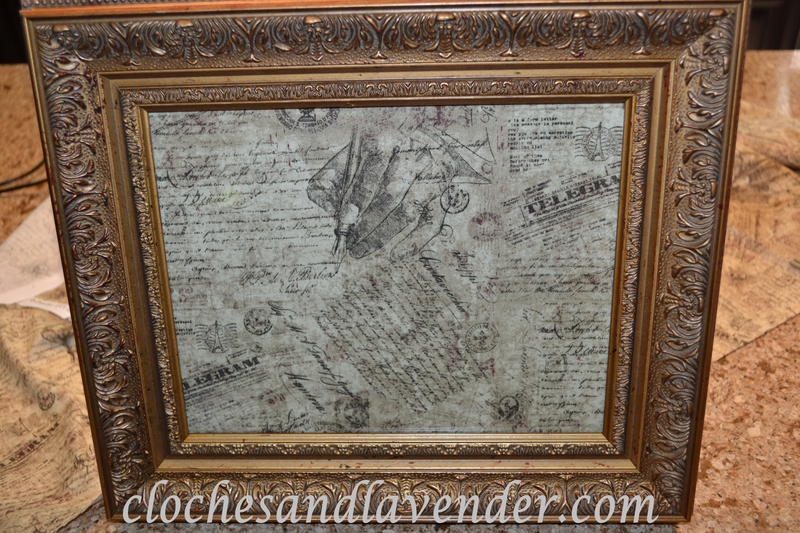 Cynthia, I love this material and the frame is perfect! Thanks so much for sharing on Simple & Sweet Fridays. It’s always fun to have to visit. Happy Halloween!! This turned out beautifu;!. Thank you for showing it to us at TTF!